Chandigarh, 11th February 2017: A magnificent 60th minute goal by Dabang Mumbai’s Robbert Kemperman snatched the victory from defending Champions Jaypee Punjab Warriors by a narrow 2-1 to enjoy the top spot on the points table at the fifth edition of the Coal India Hockey India League. 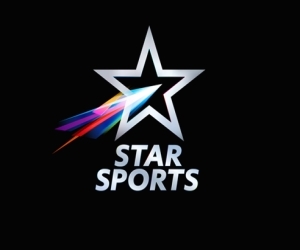 There was no doubt the match between defending Champions and Dabang Mumbai, who are leading the points table, was going to be a thriller of a clash and the teams did everything in their capacity to keep the audience entertained with top level hockey, hooter to hooter with great pace and tactical play. Tristan Clemons continued his fine form into this crucial match as he starred in the first quarter for Jaypee Punjab Warriors. The alert Aussie saved two field goals that could have taken Dabang Mumbai’s lead to 4-0. First it was Florian Fuchs’ attempt in the third minute of the match when he turned around a tactical dribble in the circle to take a strike twice and on both occasions Clemons was perfect in padding it away. With just four minutes remaining for the first hooter, it was young Affan Yousuf who made space in the circle to take a shot at the goal, and the defence by the home team kept the goal at bay ending the first quarter in a stalemate. Clemons was kept busy through the second quarter too with Dabang Mumbai making forays into the circle. Yousuf came close to earning a goal yet again but was denied promptly by Clemons. 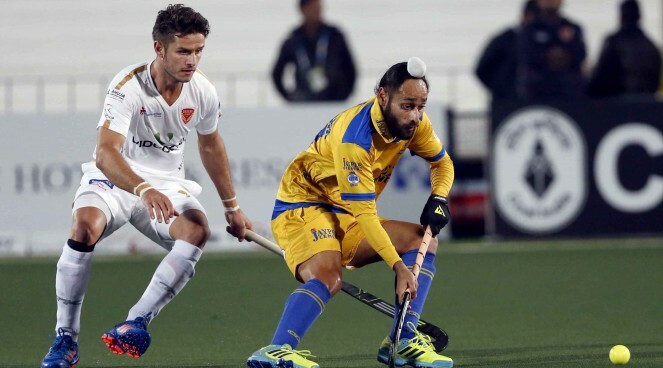 Jake Whetton had a great opportunity to score for Jaypee Punjab Warriors seconds before the half-time when he attempted a reverse stick shot after a good assist by SV Sunil but it was too wide from the post. The Third quarter proved to be lucky for the home team as they took a 1-0 lead in the 37th minute when Mink van der Weerden, who has been in incredible nick this season, converted a PC for the defending Champions sending a powerful flick to the left top corner of the post, enthralling the home crowd. This was his fifth successful attempt at scoring a PC in this season. Later, they overcame a close shave when the umpires upheld a video referral by Jaypee Punjab Warriors who insisted that Tristan Clemons was deliberately obstructed by Gurjant Singh at the post when Nilakanta Sharma successfully converted a field goal. A rookie mistake by the Dabang Mumbai forward denied them a 2-1 lead. The visitors made as many as nine circle entries this quarter but failed to convert the chances. The fourth quarter saw some dramatic action, with Dabang Mumbai pushing hard for a goal and they are known for a late comeback but Clemons continued to impress helping his team retain the lead. The defenders too did well at keeping dangermen Florian Fuchs, Affan Yousuf and Nikkin Thimmaiah in the forward line at bay. But a 60th minute goal proved their mettle yet again when Robbert Kemperman scored a brilliant field goal to steal the match. Robbert Kemperman of Dabang Mumbai was awarded with a prize money of Rs 50,000 for scoring the Coal India Goal of the Match from Mr B.K. Upadhyay, Regional Sales Manager, Coal India Ltd.
Manpreet from Dabang Mumbai won the prize of Rs 25,000 for being the Hero Young Achiever of the Match from Mrs. Joydeep Kaur, International player. On 12 February, Delhi Waveriders will take on Kalinga Lancers in Delhi at 1900hrs.